Due to Chanhee’s enthusiastic performance in ‘SKY CASTLE’, the popularity of his group SF9 is also rising together. Chanhee is starring in ‘SKY CASTLE’, drama of JTBC, as ‘WooJu’, who entered elite school with top records without any private education. As the popularity of the drama increases, the popularity of the idol group SF9, where Chanhee belongs as main dancer, is also increasing. The views of Chanhee’s cut on Mnet ‘MPD FanCam’ of the SF9’s recent song ‘Now or Never’ was around 200 thousand early this month, but based on the record of January 25th, which has been less than a month, the views surpassed 750 thousand and is showing rapid increase. 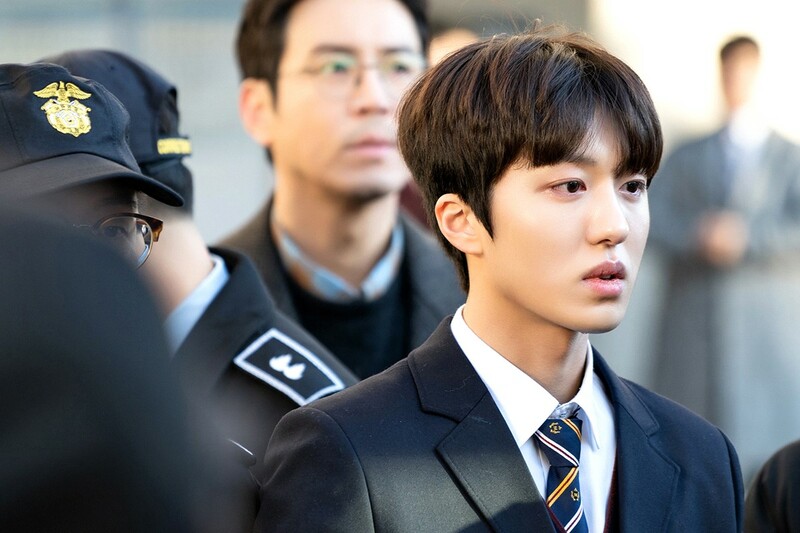 The video of Chanhee dancing ‘Now or Never’ wearing the uniform in the drama was disclosed through SF9’s official twitter only but it has surpassed 190 thousand views by a week based on the 25th. Also, the free dance video with the song ‘We All Lie’, OST of ‘SKY CASTLE’, which was posted on the facebook reached 450 thousand views, and the views of the different past videos are also rapidly increasing recently. Together with Chanhee, SF9 members who are starring in different dramas are rising the team’s popularity. The group SF9, where they belong to, has been chosen as ‘2019 K-Pop Breakout Pick’ and attracted attention of the public on their album activities as well. Recently, SF9 has confirmed their comeback in February and is finishing up their preparation of their album. With the members who are actively showing their faces in various fields, the attention is concentrated on what kind of synergy will be created in their new album activities.